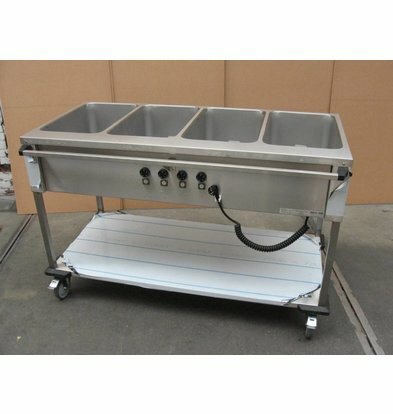 For hot dishes moving over short Be it long distances, these Bain Marie wagons Mobile Containing very appropriate. 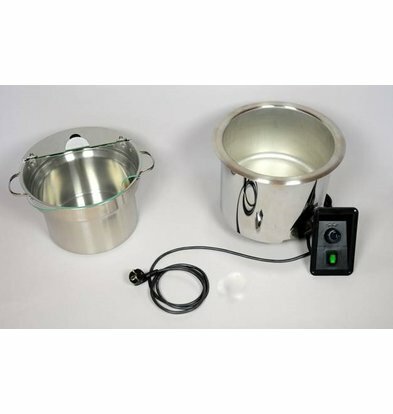 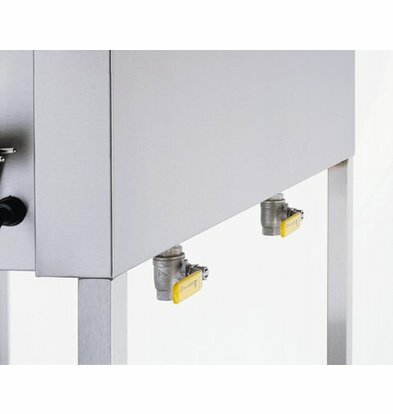 These mobile units come standard with heated holding bins, a thermostat and a stainless steel ball valve. 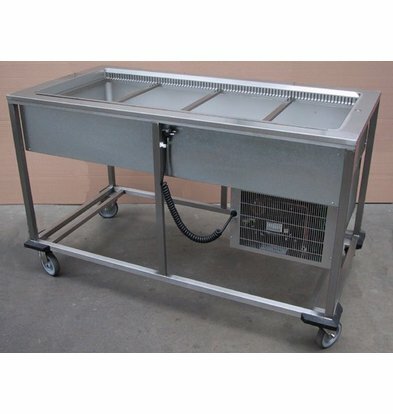 The sturdy tubular frame and the robust stainless steel finish makes car for a very easy to maintain Bain Marie. 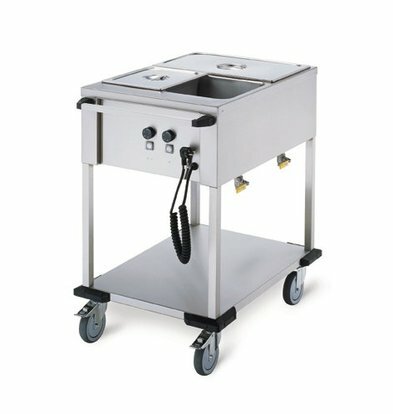 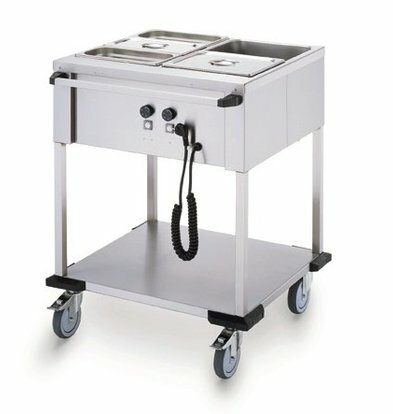 The 4 x 1/1 GN Bain Marie carriage of Mobile Containing accommodates 4 x 1/1 GN containers with four separate thermostat controls. 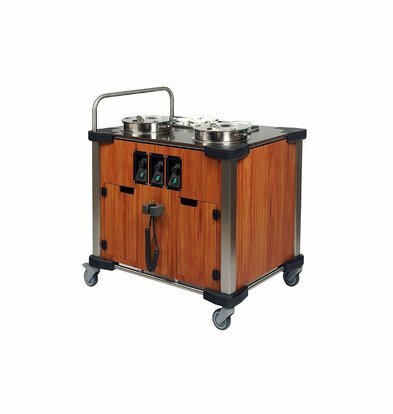 On the underlying platform, you can also lose everything like cutlery, plates and other accessories. 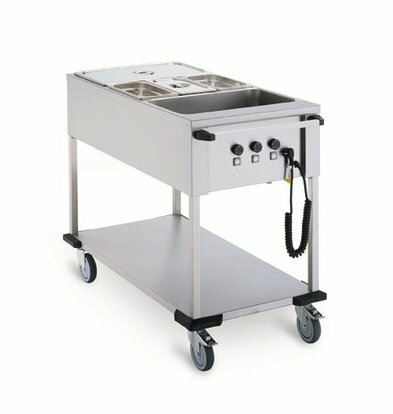 On the long side a handle is attached and on the sides just above the wheels is the Bain Marie wagon with solid corner bumpers. 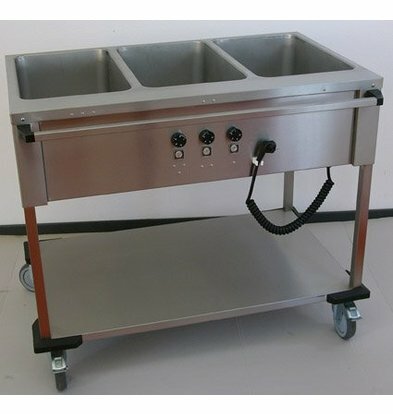 With the maximum supplier warranty of 1 year and a XXLkorting of less than 17% you are sure you excellent quality Bain Marie car getting.